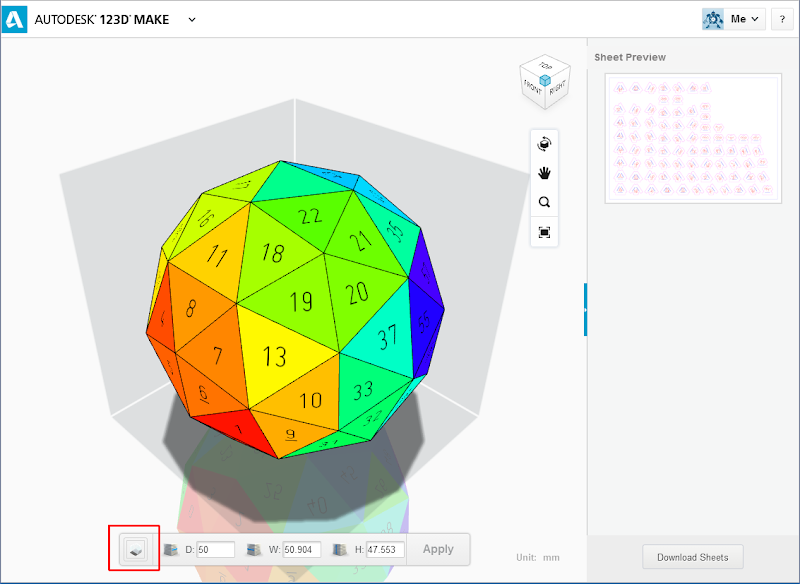 Autodesk 123D Make is a free maker application which can process 3D models and allow to make them real using stacked cardboard slices. This web application now offers also a second producing method for your 3D models - folded paper panels. Load any mesh model (STL or OBJ file), set the "folded paper" method (see below), the model complexity (coarse, rough, fine), adjust the model size (depth, width, height) and the sheet size - your paper source sheets. Apply all changes and refresh the right "Sheet Preview" panel (click on a sheet to zoom details). The paper sheets with your unfolded model can be downloaded as EPS files for printing and cutting along the outlines. Also cut the slits. Then fold the tabs and insert them into the correspondigly numbered slots. Glue together. You can export STL files from most CAD software. OBJ and STL files can be pre-processed in Autodesk MeshMixer or Memento or FBX Converter. 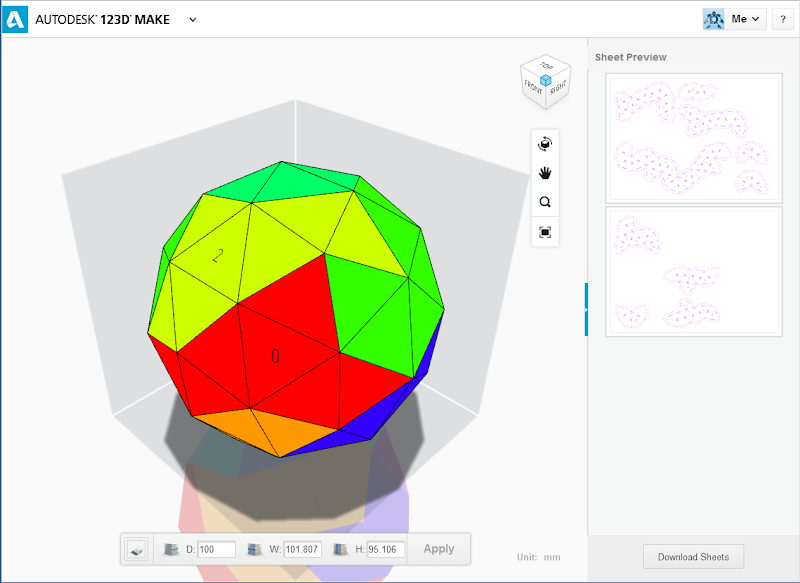 The displayed icosidodecahedron model comes from AutoCAD. Here is this 123D Make model.